Our hotel and its surroundings are known as a top-notch resort for mountain bikers. 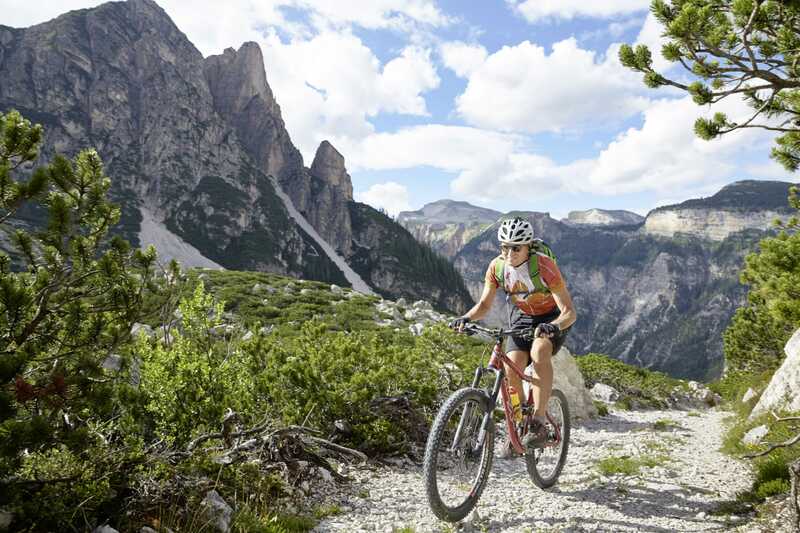 We offer the perfect holiday for bikers in our mountain biking hotel in South Tyrol. For good reason, the elite competitors in the famous Giro d'Italia race choose to stay with us at the Excelsior Resort. The stage of the race leads from St. Vigil (San Vigilio di Marebbe) to the summit of Kronplatz Mountain. And of course, in addition to racing routes for the pros, we also have the perfect trip for any level of difficulty, from easy to ultra-challenging. and know just how to make your mountain bike holiday in our wellness resort an unforgettable experience. 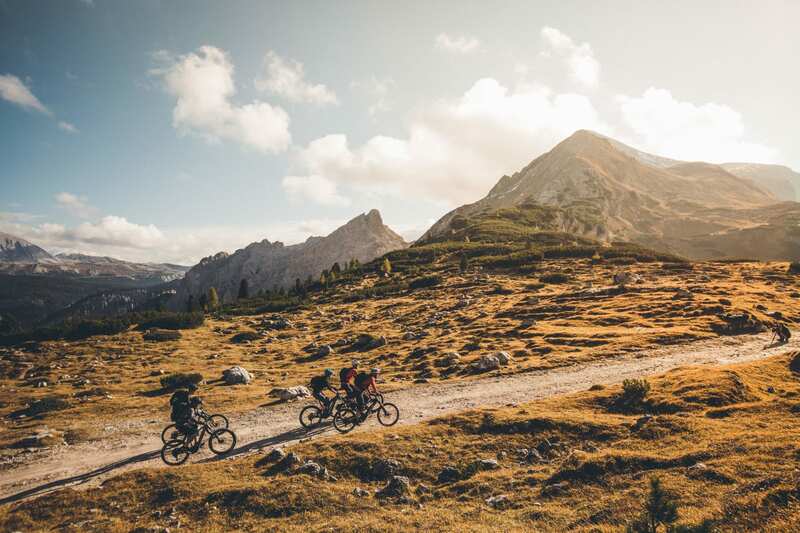 We have been a member of the Mountain Bike Holidays Hotel Group for years, meeting strict quality requirements for a perfect mountain bike holiday offering. This is the place to ask any questions, find out how to fulfil your specific needs, and swap experiences of adventure and records with true pros. We love to share secret tips and unique trip ideas for unforgettable mountain bike holidays in South Tyrol. In our mountain bikers' hotel in the Dolomites, bikers - and those who want to join their ranks - feel right at home! The atmosphere of Excelsior Resort is casual and uncontrived, but imbued with style. It is simply the perfect place for a fantastic holiday in South Tyrol. Also the most convinced mountain bikers are enthusiastic about the E-Mountain bike! Easy with the E-Mountain bike For all who like to keep it calm or want to relieve their knees an E-Mountain bike is the right thing. You can reach the peaks of the Kronplatz with your bike. With the improvement of its technique, the E-Mountain bike wins more reputation. Also in the bike Hotel Excelsior we would like to present you this new trend, and you thought you wouldn’t be able to strain yourself at all? That is wrong! You need to pedal in order to receive the gentle support of the nearly soundless electric motor. 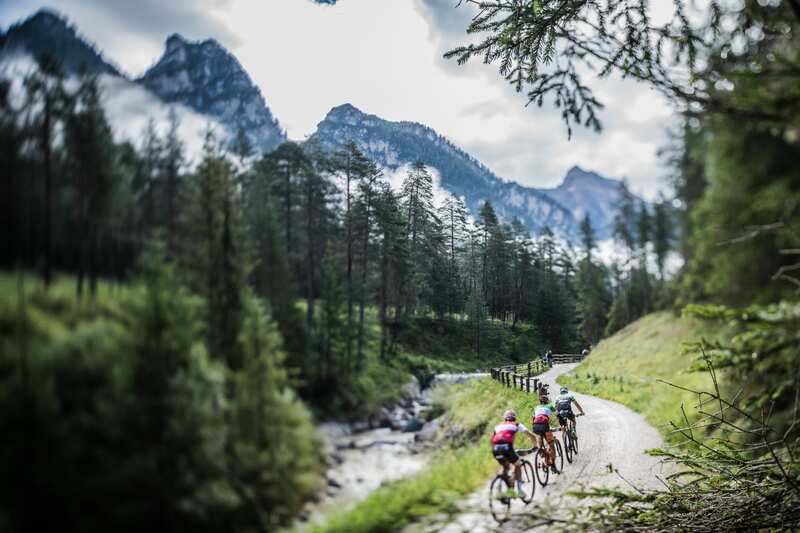 Bike transport is also provided by busses and trains in the Val Badia and Val Pusteria. Only who live a strong bike enthusiasm themselves, can engage with you giving the right instructions. The host Werner Call is exploring the trails around the resort on his mountain bike for over 20 years already. He has been experiencing thousands of kilometres in the natural park in order to touch every single piece of beauty. He himself accompanies his tourists exploring the natural treasures of the Dolomites and showing them his favourite places. 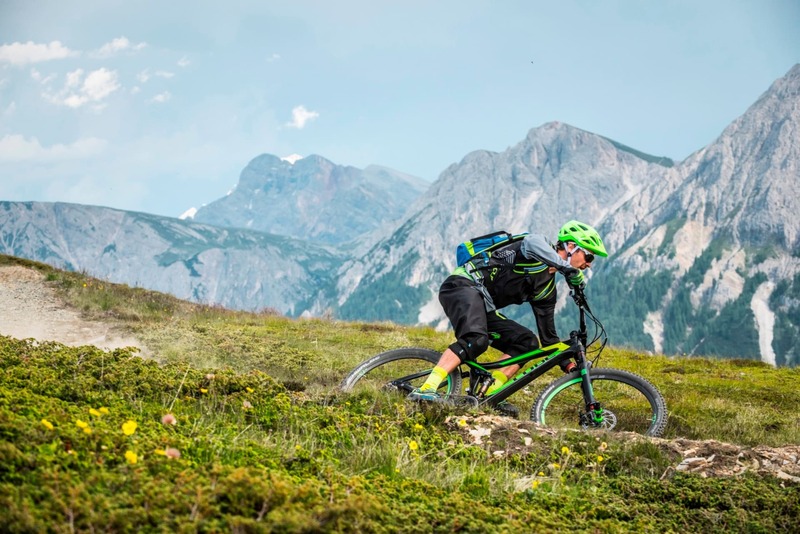 Our mountain biking team consists of Hans Vollmann and Raimund Rigo, among the very first biking guides in the Pusteria Valley region, and now with over 15 years of experience leading treks. They both completed training in compliance with the guidelines of the Italian Cycling Sports Association, AMIBike. AMIBike is officially recognized by C.O.N.I., the Italian National Olympic Committee. 10 am – 3 pm First World War Tour with the Fanes falls. 1900 meters elevation gain. We give you information about the tours on maps and with the new TourApp on your Smartphone, you also can follow it on the phone. 6 guided tours per week for two different ability levels with our certified guides Hans and Raimund (for a fee). GPS device rental and assistance in saving the routes chosen on the device (for a fee: € 22.- per day). In case of bike breakdown, bike fixed within 12 hours. Service provided by Steger Bikeshop from St. Georgen. Garage with bike rack and bike locks. Service corner with tools, pump, professional bike repair workbench, various bike lubes, inner tube spare parts and bike brakes (for a fee). Luggage deposit and late check out the day of departure with shower facilities, wardrobes and changing room with the possibility to use wellness facilities (for a fee). NEW! : a bike rental service directly in the hotel! Either double shock absorber or electric bikes are available (for a fee). junior Bike Park behind the resort, to help children learning how to ride the bike safely on single trails. A special and healthy biker-breakfast. A buffet with fruits, cakes, tee, juice available after having finished the tour. Midday buffet with several kinds of tasty dishes. For dinner, a wide choice among 4 different South Tyrol-, Mediterranean-. fish- and meat menus accompanied by a vegetable and appetizer buffet. Special needs can also be fulfilled: Vegetarian and gluten free dishes are also available. The Excelsior tours – The digital map on our homepage gives you all the information you need to arrange your personal tour: route, GPS data, altitude profile, images, description and difficulty, advices. a bike wash area located in the bike garage with highpressurewasher, hose, sink, and soaps to wash your bike. Free laundry service within 12 hours. Deliver at the reception your dirty bike clothing and shoes. You will find them the following morning, washed, in your room. You might not have enough space for a bike in your car. We rent top mountain bikes in our resort: Fully or Hardtail, also with Shimano-Clicks and the desired size.You might not have enough space for a bike in your car. We rent top mountain bikes in our resort: Fully or Hardtail, also with Shimano-Clicks and the desired size. Are you interested in getting to know our bike region? We offer Top-Hardtail-Mountain bikes with hydraulic brakes, child seats and helmets free of charge. Make sure you have numerous advantages and book directly with us! Always a good idea and a nice gift. The Excelsior Value and Wellness voucher. Read our reviews. Multiple awards and 100% guest satisfaction. See for yourself. Short breaks in South Tyrol - always the best offers.